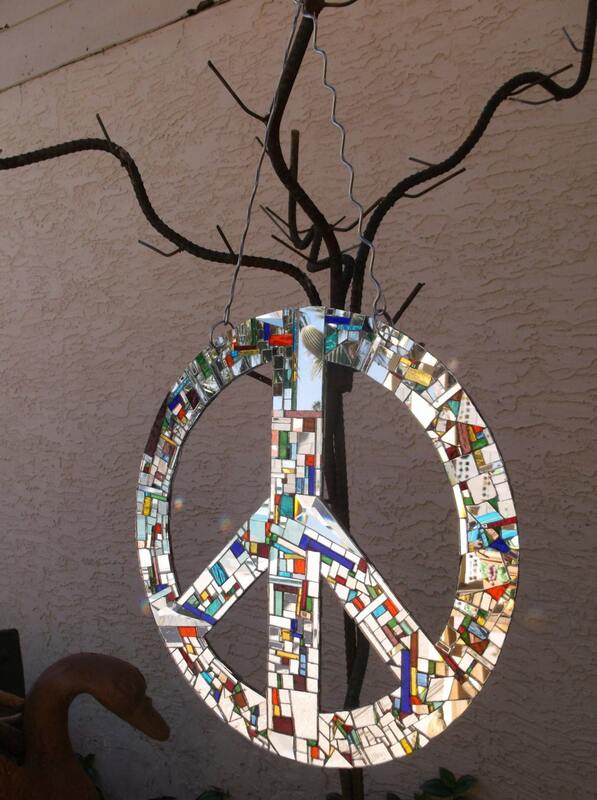 Bazillions of mirror pieces make this peace sign a beacon day or night. It's a dazzling, uplifting tribute to humankind's most elevated state. A breeze or push sends it spinning. As both sides catch light, sparkle and flash are sent in all directions. Mirror reflections paint walls and floors and dogs and people and cats, everything! Prism mirrors guarantee rainbow reflections every day. 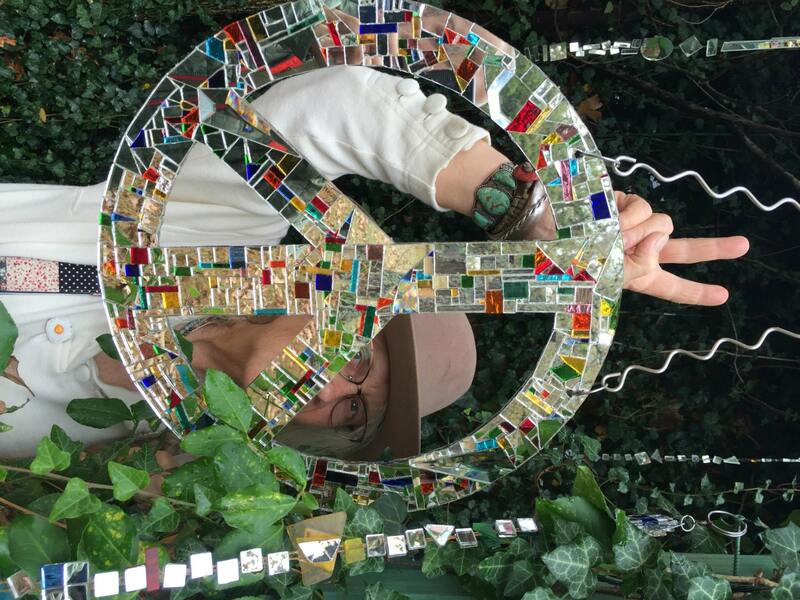 It's an astoundingly beautiful atomic bomb of a peace sign. 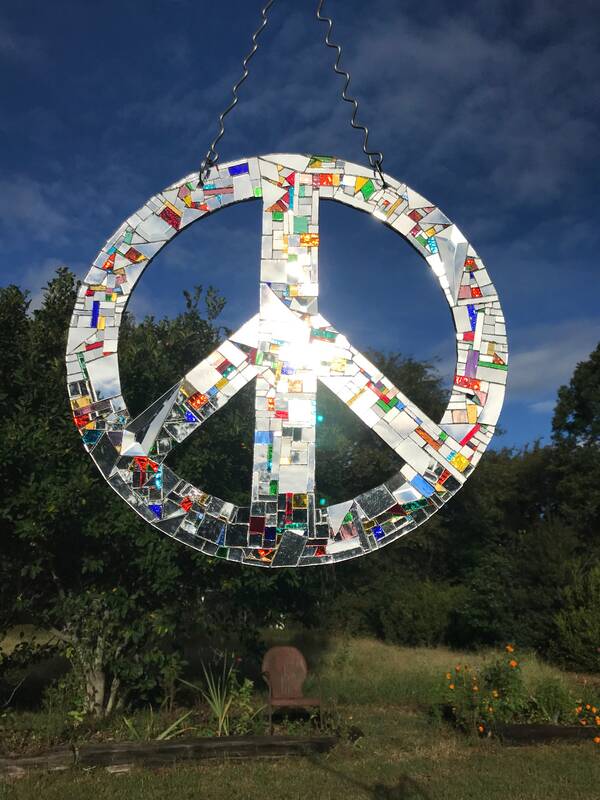 The peace sign has a steel center. 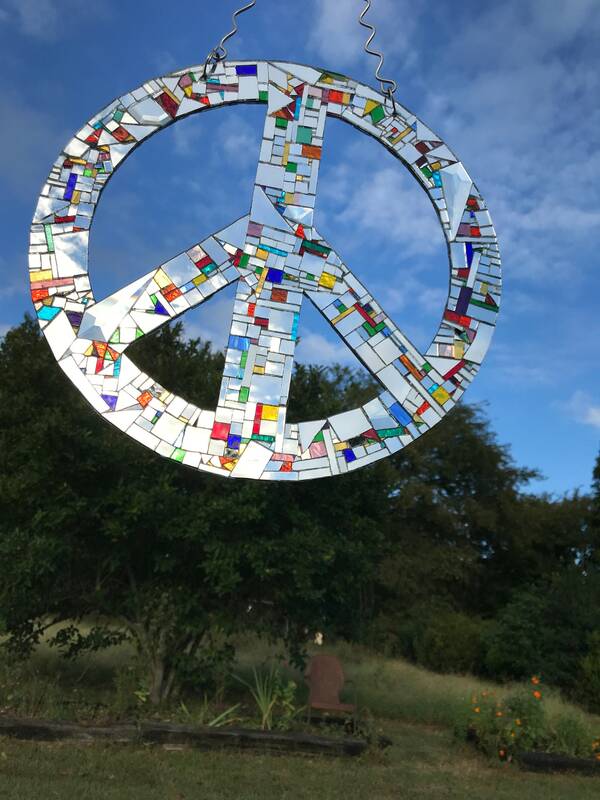 Hundreds and hundreds of silver and richly-colored mirror pieces and bits, and scattered prism mirrors, cover both sides of the steel base. 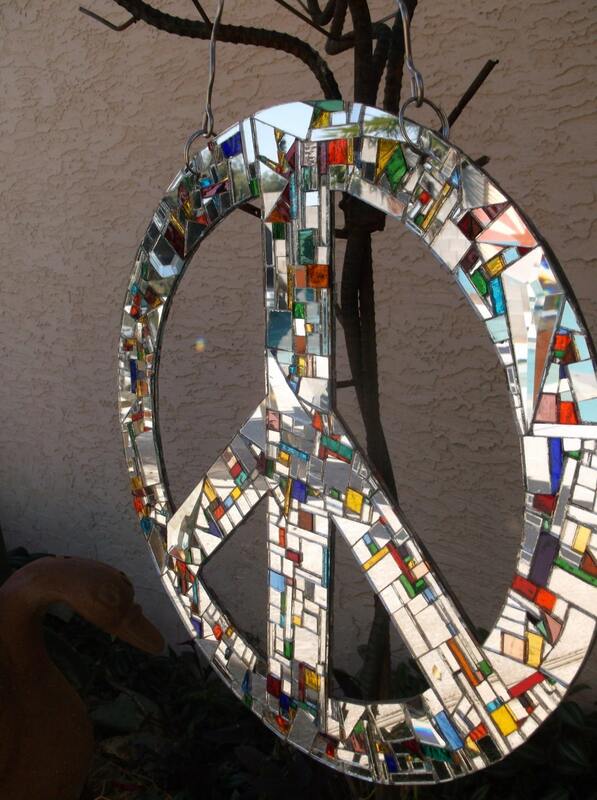 The peace sign is seriously stout, its beauty enduring. 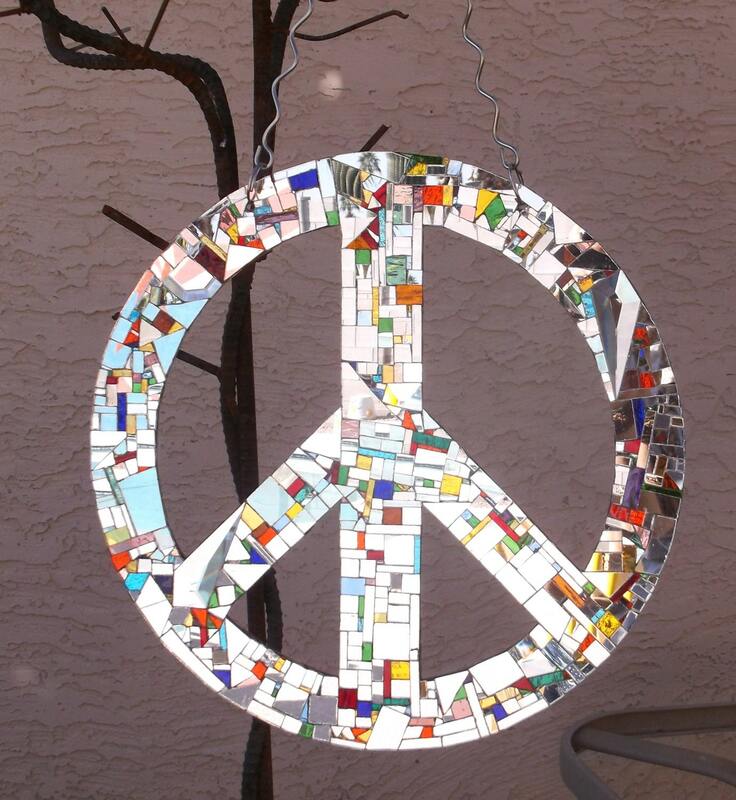 Hang it inside or outside. Keep night lights in mind. Lamp light, moon light, car lights all make it flash like paparazzi at night. 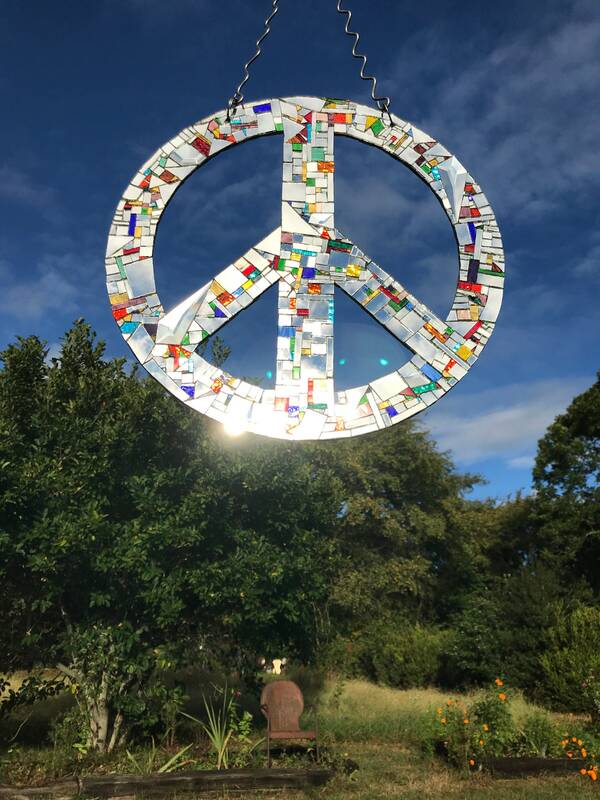 The peace sign is 16" across. 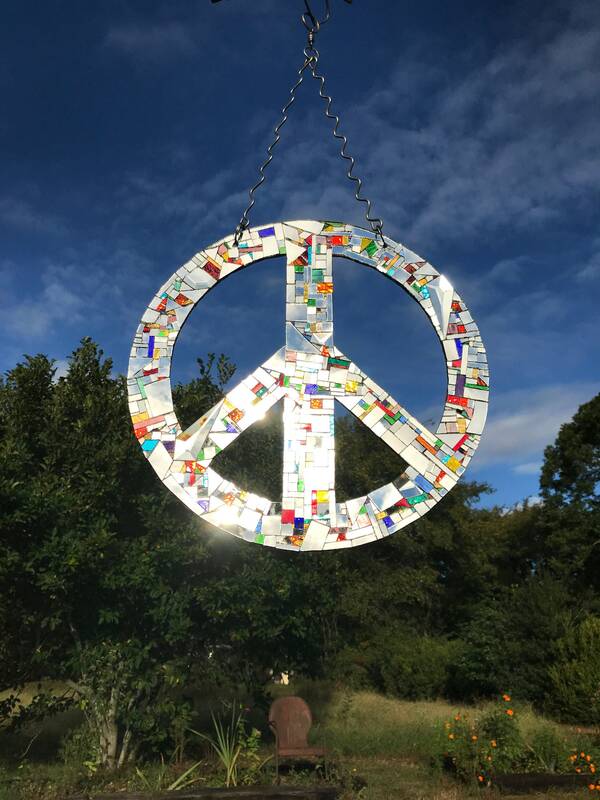 It hangs from two 12" stainless steel handmade squiggly hooks. They are a trip! The peace sign spins effortlessly on a 390-pound test ball-bearing swivel. The split rings are stainless steel. 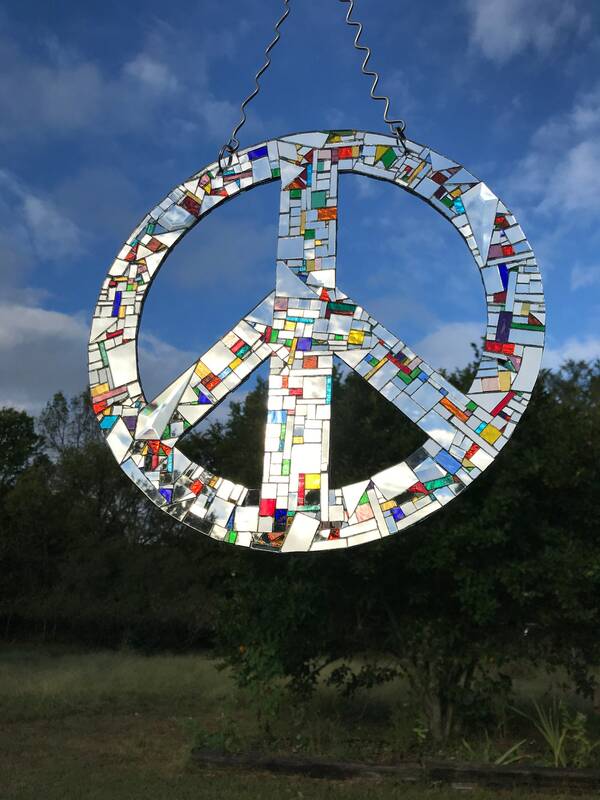 The peace sign is 30" long from the top of the hanging stainless steel split ring to bottom edge. Glorious! 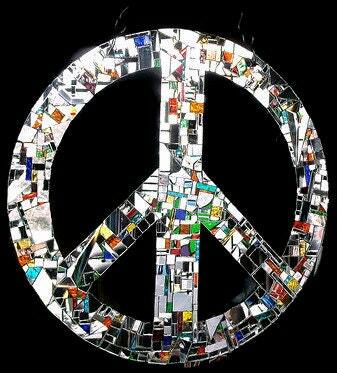 Every day and every night it reminds: There's nothing more beautiful than peace. Domestic parcel post mailing with tracking included.